In 1992 I moved from West Wales to Swindon to study for a HND in Graphic Design. I ended up staying on to complete a Degree and started working as a designer for a small agency. During my eight years there, I worked my way up to the position of Senior Designer, and handled jobs from clients as diverse as insurance brokers, airport restaurants, and Swindon libraries. I created logos, promotional and direct mail materials, signage and exhibition stands. In 2003 I studied for a PGCE from Oxford Brookes University and began working as a primary school teacher, a profession I worked in for nine years. Throughout that time I kept doing little design jobs for friends and acquaintances, and in late 2013 I made the move back to Graphic Design, this time working for myself under the name Phase 3 Design. I do a lot of my work though New Realm Marketing, but I am always happy to work with clients of my own, too. Outside of work, I have a young family – two young boys – who keep me pretty busy. I am a member of Swindon Evangelical Church, where I help run one of the children’s groups. I am also a keen cyclist, both on and off road. 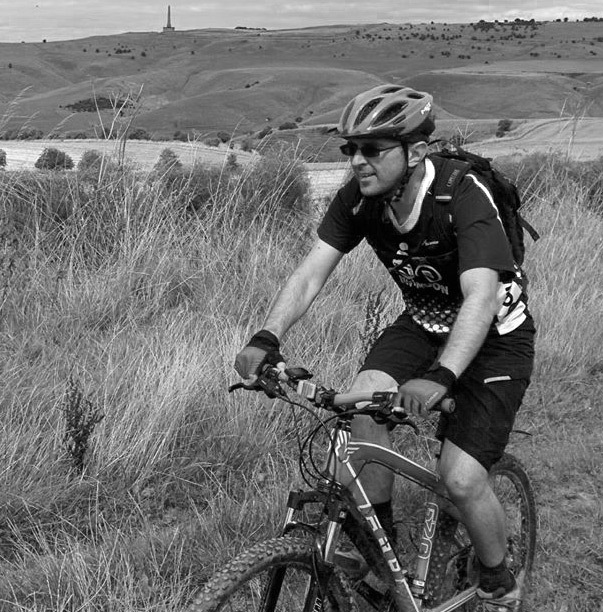 I am a member of MB Swindon mountain biking club, and help to manage the club’s website, regularly writing articles or reports on the club’s activities.